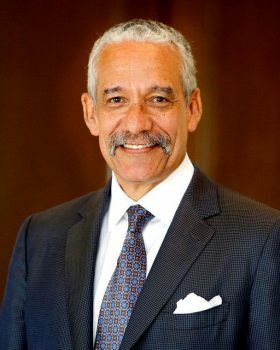 Former American Bar Association president Robert J. Grey Jr. was honored by the organization’s Forum on Construction Law for his “extraordinary leadership and lifetime of commitment to moving the meter on diversity and inclusion” during its October meeting, in Chicago. Grey served as ABA president 2004–2005 and is currently president of the Leadership Council on Legal Diversity. A 1976 graduate of the W&L School of Law, Robert is senior counsel with Hunton & Williams LLP and serves as vice chair of the firm’s Community Service Committee. In 2010, Grey was appointed by President Barack Obama and confirmed by the U.S. Senate to the board of the Legal Services Corp. Robert represents businesses in administrative, regulatory and legislative matters.